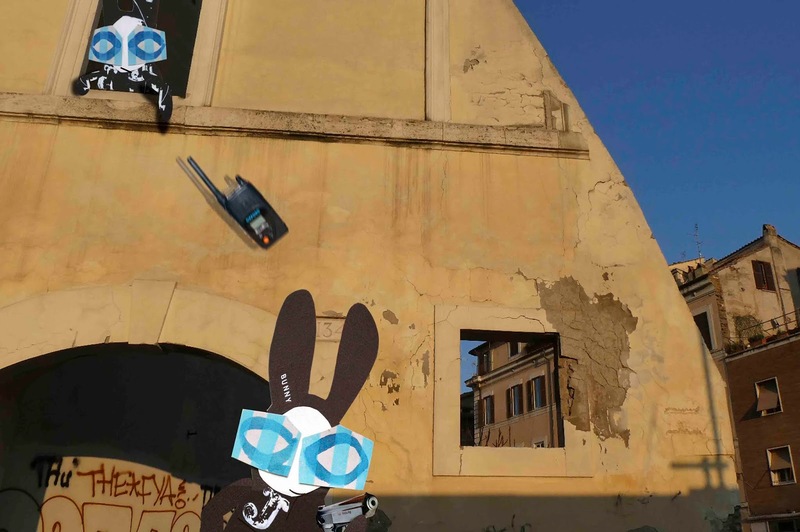 The Wabbit pursued the figure through a maze of old buildings - until he lost him. There was no one to curse so he cursed the building instead and stamped his foot. "Wabbit!" The voice was familiar but the Wabbit was too cute to acknowledge it. "Commander?" The voice had changed tone. Now it was sharp and urgent. "It's Wabsworth," said the voice. The Wabbit refused to look. "How do I know it's you?" "Ask me a question," said the voice. "OK," said the Wabbit, "Why is 5 to the power of zero only one?" "Everything to the power of zero is one," said the voice. "How can that be?" asked the Wabbit. The reply was quickfire fast. "It's only a convention." The Wabbit laughed and turned. "Wabsworth, what's going on?" "We're caught in a game," said Wabsworth. He threw down an automatic, then a walkie talkie. The Wabbit caught the gun and examined it but he let the walkie talkie clatter on the road. "Where did you get these?" "I had to win them," answered Wabsworth. "I'm listening," sighed the Wabbit. Wabsworth climbed from the window and shimmied down to the sidewalk. "I had to fit a stack of objects into a shape, but the objects and the shape kept changing." The Wabbit nodded. "Then there were eight crosswords, but I didn't know which clues went where." "Did it take long?" asked the Wabbit. "No time at all," said Wabsworth, "The game was a smoke screen. The gun and the walkie talkie were on a shelf and I just took them."